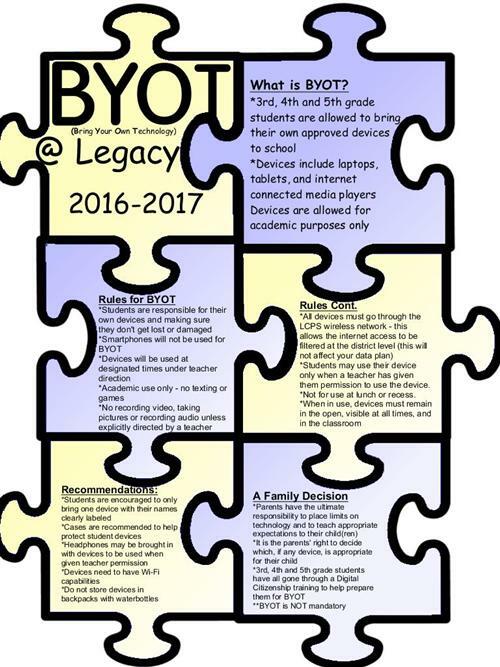 Legacy is so excited about Bring Your Own Technology (BYOT)! This page will give you some information on how we are using it and what you need to know! 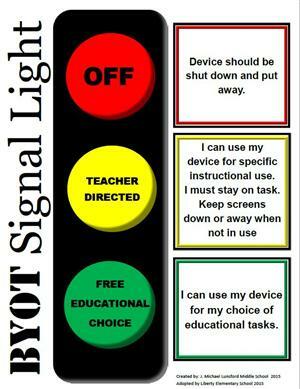 The BYOT signal above will be used in the classrooms and anywhere the teacher will be using BYOT for management purposes. We also recommend that parents visit our Common Sense Media Digital Citizenship Homepage to learn more about this important curriculum to teach your student to be safe online. All students (whether they are participating in BYOT or not) need to fill out and sign the LCPS Acceptable Use Policy. 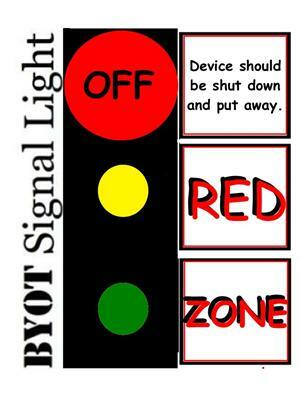 This is necessary for all students who will be using any kind of technology this year. Please sign and date the last page and send it in to your student's teacher.